To say that all is relative, is not at all related, to what is real. Truth has no family, though truth can be the family. What doesn’t change, except change itself, is the regular search for what doesn’t change. That we are, that we live, doesn’t change until it does, which doesn’t change that we were, or that still they are. That it has been done, that it has been written, that at that time it was, doesn’t change. The truth of it doesn’t change, only its versions and inventions. Unending movement… doesn’t change… so far that we know. Freedom and liberty, whether synonymously construed, or distinguished as the latter being the former’s responsible articulation, or separated by whatever your metaphysical sensibilities and frames of reference, these do not change, in their primitive and natural perceptions, or in the perpetual motions in defense of, and offense to, their principled and infinite illustrations, by individual human beings. Nothing then is unchangeable but the inherent and unalienable rights of man. ~Thomas Jefferson to J. Cartwright, 1824. That there exists good and evil, doesn’t change. Finally, what doesn’t change, is the certainty that most people who happen across this article will never make it to this line. 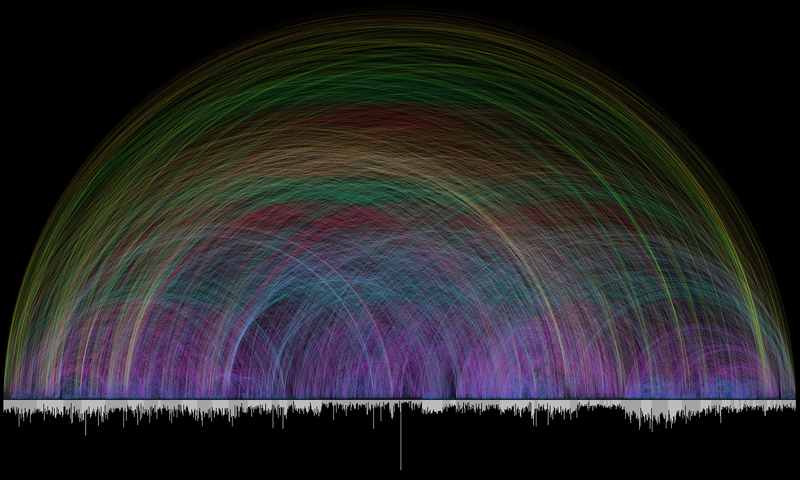 Link: Bible Cross Reference Visualization. By Chris Harrison, in collaboration with Christoph Römhild. 63,779 individual arcs. Clicking the image takes you to a copy on my site. Please visit Chris’ site via the link for explanatory, higher resolutions, or to order prints, and to see other interesting illustrations. Truth Doesn’t Have a Problem, People Do. Truth doesn’t have a problem, truth just is, that’s all. People have a problem with truth. Nothing against people, except you, but people lie, with malice, for increase, people are wrong, out of ignorance, by stupidity, for vanity, or from deception, see: magic, and liar. If you are a person, and you don’t want to have a problem with truth, then by experience know it, and if by people, doubt it, until by them truth is experience. So here, truth being what it is, experienced, past, present, basis for future, which is not yet truth. What of faith? Trust in truth by people, to be determined by experience, still then to be determined. Faith in God, truth you own. 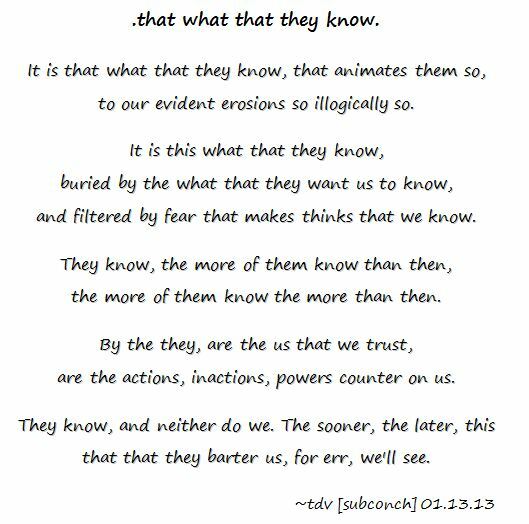 Now, absent your experience by me, thereby having no reasonable faith in me, go figure it out for yourself.